463 in stock Need More ? Kurozu-cho, a small fogbound town on the coast of Japan, is cursed. 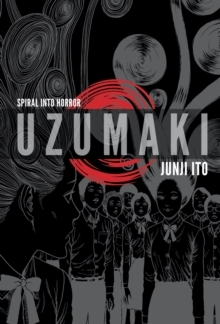 According to Shuichi Saito, the withdrawn boyfriend of teenager Kirie Goshima, their town is haunted not by a person or being but by a pattern: uzumaki, the spiral, the hypnotic secret shape of the world. It manifests itself in everything from seashells and whirlpools in water to the spiral marks on people's bodies, the insane obsessions of Shuichi's father and the voice from the cochlea in our inner ear. As the madness spreads, the inhabitants of Kurozu-cho are pulled ever deeper into a whirlpool from which there is no return!